We decided to stay in Poznan for the night close to the airport as our flight from London came in at 1 am so we can have an almost proper night of sleep. We stayed at Hotel Atlantis . The room was 130 PLN/night, plus breakfast 20 PLN/person. In the morning we wanted to take a bus to the town. 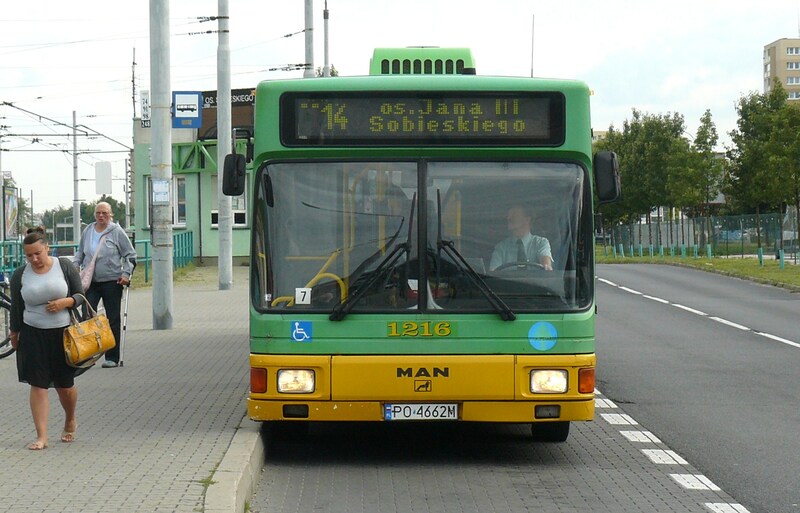 In the town where we live (Bydgoszcz), you can get a bus ticket on the bus so we assumed it would be the same here. When the bus arrived, we got on it and I said ‘dva bilety prosze’ (two tickets please). The bus driver looked at me and said in polish: you need to go to that kiosk over there to buy tickets. Oh right, I guess Poznan works different to Bydgoszcz. Never mind…we started towards the kiosk to go and get the tickets so we can wait for the next bus, which would probably come in half an hours time. Then while waiting for our turn at the kiosk, we realized that the bus is waiting for us to get back on! So I, in my not-too-perfect polish, asked the other shoppers if I could go first, they said oh yes, of course. We bought the tickets quickly and ran to get back on the bus. Peter went to the front to thank the bus driver and on we went to the city! Thank you for being so nice, Mr Bus Driver!